Eleven international entrepreneurs share their stories in an anthology compilation book to spread hope, motivation and inspiration in the entrepreneurial world and hit international #1 best seller in the USA, UK and Australia in the process. 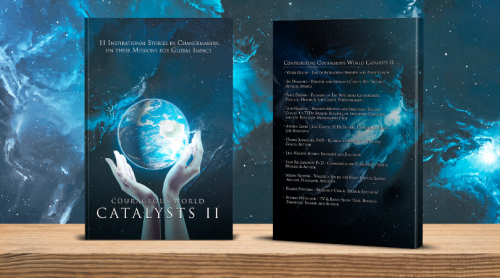 Detroit, United States - September 19, 2018 /MM-VG/ — “Courageous World Catalysts II,” compiled and lead by Law of Attraction business and book coach, Vickie Gould, hits #1 internationally on Amazon September 19, 2018. She has now helped 91 people become best sellers in the last two years of assisting and encouraging individuals to share their stories in a way that will inspire, motivate and create positive change in the world. Vickie is the author of 9 international best-selling books like "Hit Publish!" and "Standing in the Gap", and has also helped 91 others become worldwide best-selling authors. She has been featured in Entrepreneur, HuffPost, Thrive Global and YFS Magazine, amongst others. She has also been on numerous podcasts and previously published an online magazine. Vickie lives in Michigan with her husband and three children. She will soon be embarking on a new novel based on stories from her own life.